This simple and healthy vegetable dish can be done indoors or outdoors on the grill! Add the oregano to the oil by rubbing and crushing it between your fingers. Let it sit for about 15 minutes. Add salt and pepper to taste. Sliced the zucchini and squash on the diagonal about 1/4 inch thick. Brush both sides with the oil. Preheat a nonstick grilling pan on medium heat. 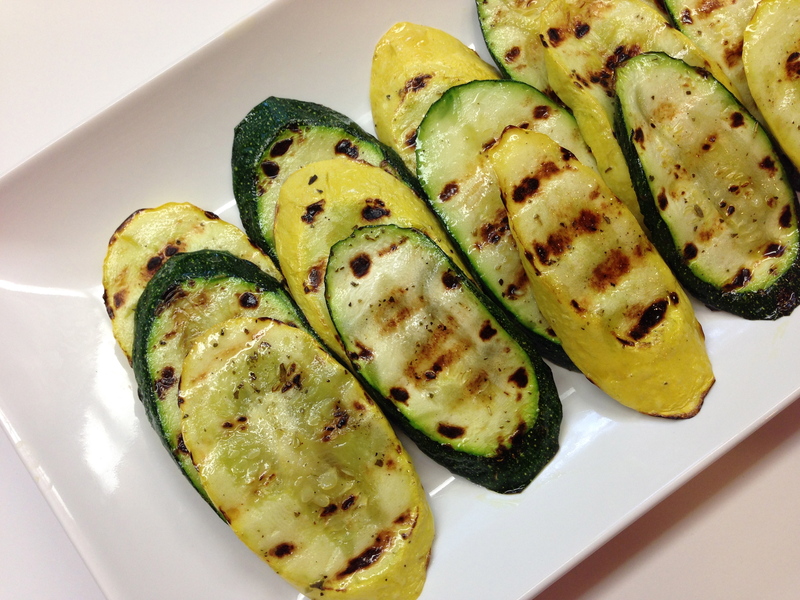 Add the zucchini and squash, grilling each side for about 3 minutes. Serves 4.